Left to #die #scuba #diving in #Galapagos? The zodiac (panga). The yacht had two. This is how we were taken to/from dive sites. I’ve never before had the feeling I might not survive a scuba dive. It happened THREE times diving in the Galapagos in December 2016. The most terrifying was when the inflatable zodiac (aka panga), to which I was assigned, left me bobbing alone in the choppy surface waters after a dive. Took off without me. Jose was my dive guide and was also supposed to be my buddy. Luckily, a diver on a different zodiac heard me crying out, “help me”, and pointed me out to the skipper. I was hard to see. The waves were incredibly high. Still, it was many minutes before they attempted to pick me up. Now, I was so close to the rocks, the zodiac risked getting punctured if it ventured closer. So there I was. Bobbing up and down, hardly able to catch my breath. Becoming more fatigued by the second. Realizing they might not be coming for me. What did Reuben the dive guide do when they finally moved closer? He shouted at me from the safety of the zodiac, “where’s your dive buddy”? Yup, this is what it had come to. Unwilling to provide me with a safe dive buddy, I was on my own. And, in danger. “You have to swim to us,” Reuben called out. “We can’t come to you.” Reuben, evidently, wasn’t going to swim out to assist me. It was difficult, but I did make it the 30 or so feet to the zodiac, swallowing water and gasping for air. I clung to the rope on the side. Breathless and terrified. Reuben asked me to remove my fins and buoyancy jacket. I had NO energy for that. Hand over hand, I shifted myself to the ladder and held on for dear life. I couldn’t climb it. They insisted I move back onto the rope. I refused, not trusting them. So, Reuben and the skipper pried my hands off the ladder and moved me themselves. Then, they hauled me onto the zodiac with all my gear on. I remember sitting there in a lump. Too fatigued to move. I have no idea how the eight other divers on the zodiac reacted. A couple did approach me afterwards to see if I was okay. Back on the yacht, Reuben and Jose went to speak with the captain about the incident. I sat on deck. Crying, and I’m not a girl who cries easily. A few hours later, I prepared to dive again. I knew I had to. But, not before Reuben and Jose had hatched yet another ‘brilliant’ buddy plan. This one involved Flo’s private dive guide/servant, Eduardo, and he WASN’T happy about it. ← Videography or #scuba diver safety? I’m so sorry you went through this awful experience! I’m also so happy that you survived and continue to dive! Ugh, incompetence and diving certainly do not mix and reading your story I can imagine myself in your shoes and the fear and utter exhaustion you must have felt. How terrifying! Tank’s brother candidate for worst traveller! Travel to the U.S. or not? 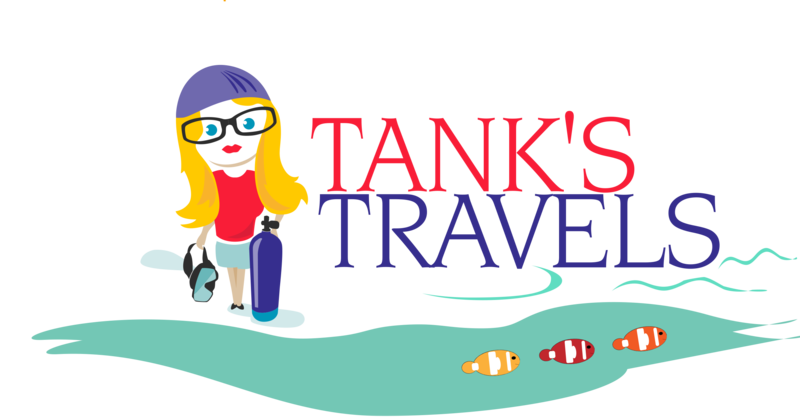 Follow Tank's Travels via email.